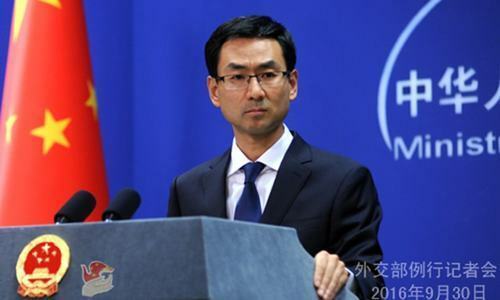 China on Tuesday threw its weight behind Pakistan and said that its key regional ally has “made outstanding contributions to the international anti-terrorism cause,” countering the heavy criticism that Islamabad had copped a day earlier from US President Donald Trump. With Pak-US relations teetering on the verge of a catastrophe, China assured that at least its own alliance with Pakistan will only keep on growing. It was not clear if that remark was a counter-proposal to the American president’s regret for having “foolishly given Pakistan more than $33 billion in aid over the last 15 years”, which has given rise to speculation that aid and reimbursements from the US may not be as forthcoming in the future. China’s newly appointed Ambassador to Pakistan Yao Jing met National Security Adviser Nasser Khan Janjua this morning in Islamabad where United States President Donald Trump’s latest tweet came under discussion, Radio Pakistan reported. Acknowledging Pakistan’s “matchless sacrifices in the war against terror”, the ambassador said China stands firmly with Pakistan in all situations, a Foreign Office (FO) release said. Reiterating China’s strong commitment to the security and stability of Pakistan, Ambassador Yao said that China considers Pakistan a close friend and a reliable partner for peace and stability in a turbulent region. The diplomat stressed on “the need for political reconciliation in Afghanistan and an early closure of the Afghan conflict,” FO said. Ambassador Yao expressed support for the regional and multilateral initiatives for political reconciliation in Afghanistan, including the trilateral process involving China-Afghanistan and Pakistan, FO added. While warmly welcoming Ambassador Yao to his “second home” Pakistan, NSA Janjua expressed disappointment and concern “over the anti-Pakistan tweet emanating from the highest level in Washington”. Over the years, Pakistan and China have collaborated on a number of projects, including the much-touted China-Pakistan Economic Corridor. — With additional input by Naveed Siddiqui in Islamabad.